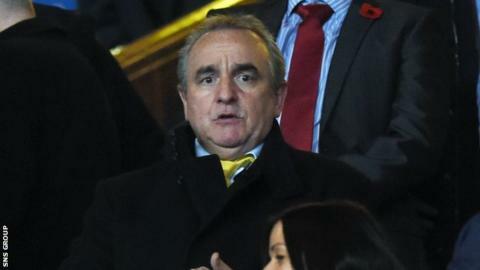 Former Newcastle managing director Derek Llambias has joined the Rangers board as a non-executive director. Rangers chairman David Somers announced last week that Llambias had been brought in as a consultant. But now the Championship club has confirmed to the Stock Exchange that he has taken on official duties. It is the latest move by Magpies owner Mike Ashley to increase his influence at Ibrox after his £2m loan funding offer was accepted. Somers previously held non-executive responsibilities as chairman but took over day-to-day running of the club last week. He is tasked with finding replacements for chief executive Graham Wallace and Philip Nash, the former finance director, who were forced out after opposing Ashley's offer of financial assistance. Ashley had called for an extraordinary meeting of shareholders to remove both men when increasing his stake in the club to almost 9% last month.